Snuper dropped a new individual teaser for their upcoming 'Blossom' comeback! With the imminent drop of their new title track "Tulips", the group released a short moving teaser Sebin. His new purple hair dye matches the blue border as a cool tone, and he sends you two finger hearts from his eyes! You can watch (and keep on repeating) the short clip of Sebin, down below! 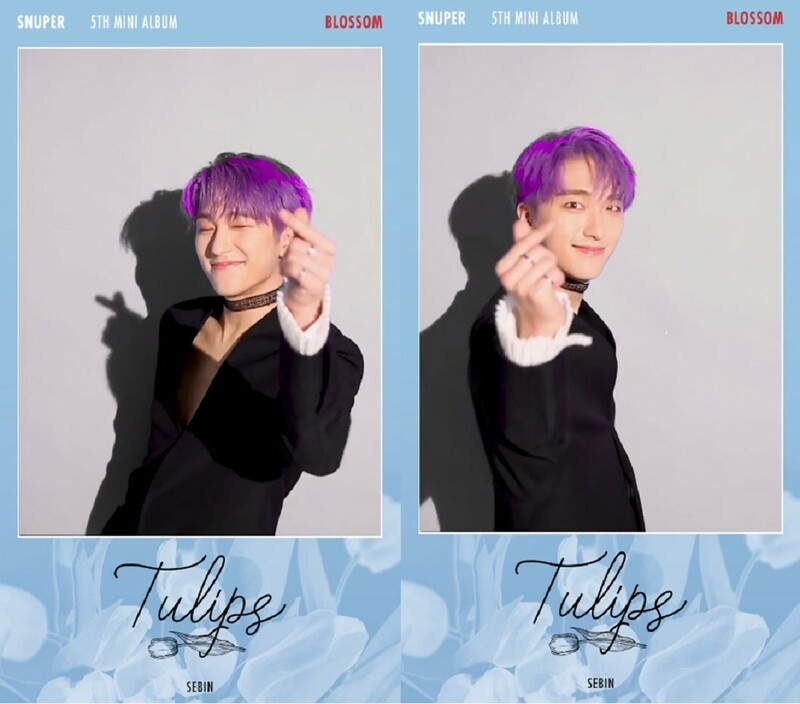 Snuper's 5th mini album 'Blossom' will be out April 24 at 12PM KST!